As your heart rate increases, your blood flows and your respiration expels carbon dioxide along with other waste products, exercise induces a natural state of body cleansing through many channels. These natural processes can be amped-up when done with the right health program, which can be especially helpful as you learn which types of exercise go with your personal goals. Body cleansing and exercise often do go hand-in-hand. 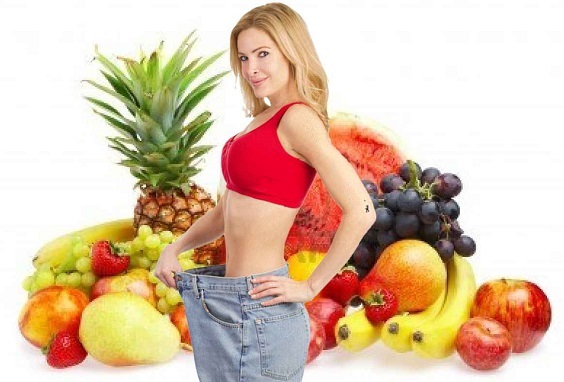 They naturally work together as this type of health program calls for a healthy diet, possibly with nutritional supplements, and the effects of these may be increased with regular exercise. The movement of exercise causes an increase in blood flow, thus carrying the extra dietary nutrients to vital organs and muscles and this in turn increases flow of the “other” circulatory system, known as the lymph, which transports waste out of the body. On the other side, however, exercise and body cleansing can work against each other. This is because certain types of exercise may induce an increase in metabolic toxins while not stimulating enough free-flow circulation to carry them out. In that light, let's find out which exercises will be beneficial. It first should be noted which exercise to avoid. Heavy lifting and heavy resistance are known to create metabolic toxins as the body adjusts to the resistance. This does make the muscles more toned and stronger, yet is not ideal to do during a body cleanse. Cleansing may be physically challenging for some while other need time to adjust to a different or lighter way of eating. Using weights during this time may create feelings of weakness and light headedness, therefore lightening up during this time is a rule heeded by most health advocates and holistic practitioners. Rebounding is one of the best examples of how exercise and body cleansing can work together. Rebounding is simply jumping on a special trampoline (designed for daily, light jumping). As part of your body's natural cleansing process, toxins and wastea re dislodged and neutralized, then moved to various organs and systems for removal. A large area that is affected during jumping is the lymphatic system, which some health researchers claim is stimulated in just 2 minutes of jumping, which in turn encourages your body to naturally clear toxins. (1) In fact, studies have shown that jumping stimulates your body to manufacture more white blood cells. But heed this warning - do not use just any trampoline. You can jar your knees or your back. Cycling increases circulation in the blood and lymphatic system. Many prefer this low impact exercise as they rehabilitate or desire to lessen the risk of injury. Yoga is a favored cleansing exercise by many people. It is said to open up the body to allow energy to flow, toxins to leave as well as increased circulation, oxygen intake and flexibility. Many people find that it helps during a body cleanse so that as the toxins are dislodged they leave easier. It is also known to be anti aging for as we remain flexible, we feel and move as if we are younger. Chi Machine - Using a Chi Machine is considered passive exercise. It is used to increase blood flow and oxygen throughout the body, especially in the spinal column. The product description even states that is stimulates the sympathetic nervous system and can improve metabolic efficiency. Saunas may help your body's cleansing process. While not a true exercise, some health professionals consider it as a type of passive cardiovascular exercise due to an increase in heart rate and respiratory system as if one is exercising. As with anything, exercise and cleansing work best when in moderation, and always check with your health professional before embarking on a new exercise program. (1) Walker, Morton, DPM. "Jumping for Health." Townsend Letter for Doctors July (1995): 42-48. Townsend Letter; The Examiner of Alternative Medicine. Web.